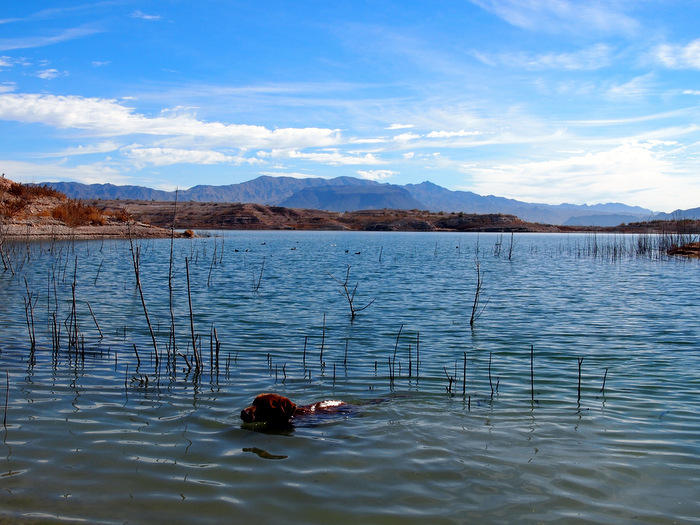 Last weekend we left Lone Pine and drove all the way to Lake Mead. 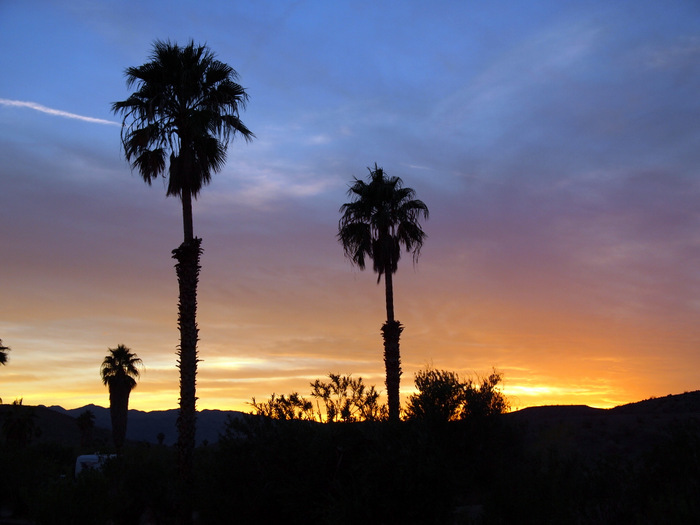 The original plan was to stay near Barstow and then travel to Lake Mead the following weekend. It didn’t quite work out that way though. When we arrived at Owl Canyon BLM Campground just north of Barstow we quickly realized it was not meant to be. First of all, the cell signal left a lot to be desired and working there all week would have been nearly impossible. This is one of those tricky places where the cell coverage app that we use shows a signal for both Verizon and AT&T, but then when we arrived it turned out that the signal strength is only around 50%. Fine for phone calls, but makes data usage nearly impossible. Not the first time this has happened which is why we always have a back up plan- or two. Also, while the campground was not bad looking, it was full of large groups of weekenders who looked more than ready for a night of partying. Something we didn’t feel like listening to all night. Finally, the town of Barstow is not very exciting. After driving through our conclusion was that it is little more than an easy stop over for those traveling on I-15 from LA to Las Vegas. That means lots of chain restaurants and cheap looking hotels. So, after only a few minutes of contemplation we made the decision to keep driving. 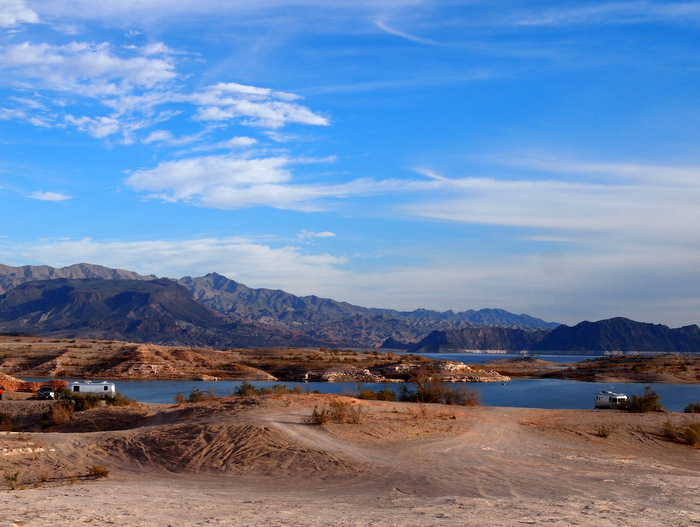 Four hours later we arrived at Lake Mead. It was dark by the time we pulled into the dispersed camping area called Government Wash. Luckily our friends Leigh, Brian & Curtis, who had already been there for a few weeks, scoped out an easy access spot for us to spend the night. The next morning we moved down near the lake to the exact same spot where we stayed last year. Not a lot has happened this week. Everyone works during the day and then we usually have a little social time in the early evening. Despite the lack of excitement, we love it here and are so happy that we showed up a week early. Even though I have no great adventures to tell you about, I do have enough photos from this week to share one from each day. 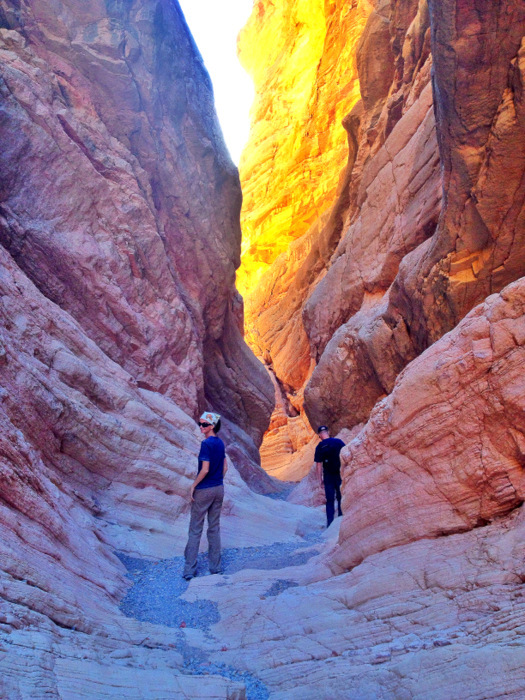 Sunday: We took a hike to a nearby slot canyon called Anniversary Narrows. This is the same slot canyon that we hiked to last year with Cassie & Kris. I am happy to report that it is still very, very cool. Monday: The sunrise is always incredible here. Wednesday: Friends of Leigh & Brian’s, Dan and Trisha, came out for dinner on Wednesday. We tried to take a group photo, but it gets dark so early that by the time they arrived around 4:30 it was just too dark. It also got chilly once the sun went down and some pesky bugs came out, so we ended up inside having a great time eating, drinking and talking. 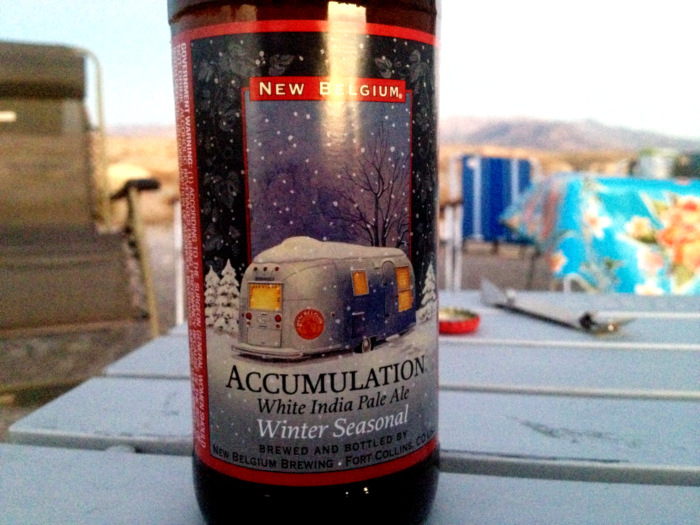 The only picture we have from the evening is of this beer with an Airstream on the label. I didn’t try it, but Tim said the label was better than the beer. 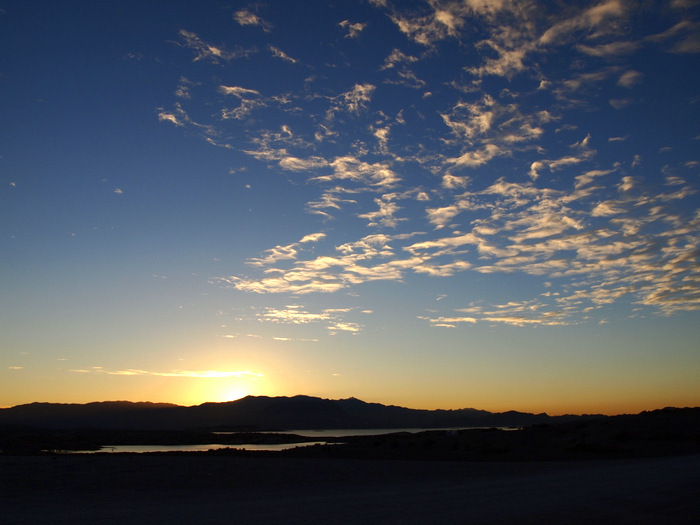 Thursday: We drove over to the Callville Bay Campground to fill our water jugs after work. It’s an okay looking campground with a boat ramp and marina nearby. But for us, there no sense in paying $10 night for dry camping when we have a perfectly nice spot down the road for free. Friday: This morning Leigh & Brian flew to NY to visit some family for a few days. Last night they brought us over some food items that wouldn’t last until their return. One of those items was a bunch of very ripe bananas. 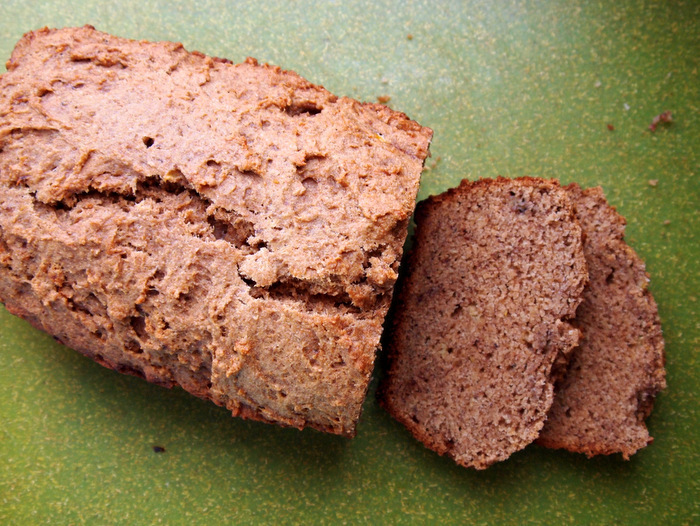 Since I already had bananas, I decided to use them up right away by making this Chai Spiced Banana Bread. I cut the amount of sugar in half, used whole wheat flour and substituted a flax seed/water mixture for the eggs. It came out really tasty. The chai spices make it different from your typical banana bread. We will be hanging here until the end of the month and have a few fun things planned including some some hikes & bike rides, a visit to a cactus garden/light show, and a Thanksgiving feast. 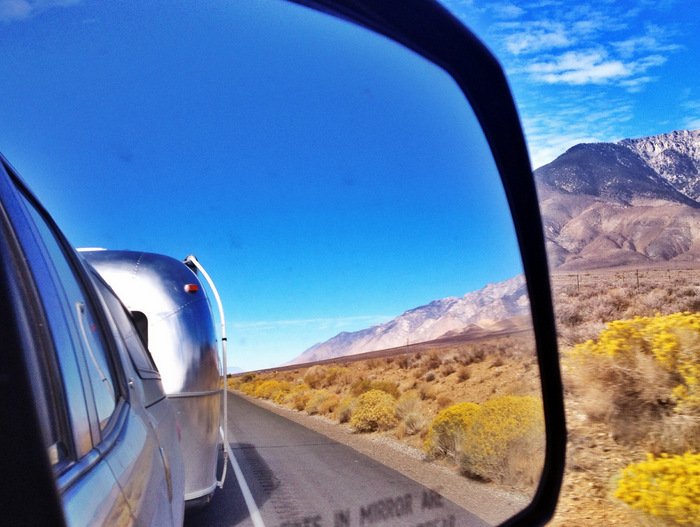 We will also be joined the week of Thanksgiving by Dave & Kelly, bringing the Airstream tally up to three. So much to look forward to! Wednesday works for us. We can come to you or you can come to our place. We are right across from Boulder Beach. I just remembered that Wednesday is Leigh’s birthday and we have plans to go out to dinner. We are also busy on Thursday. How about we try to get together this weekend. Either Saturday or Sunday afternoon for a happy hour? You can always send us a message on our FB page (or just reply here).